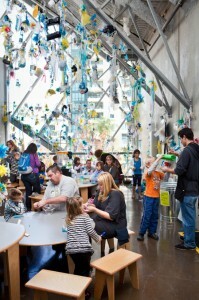 The New Children’s Museum in San Diego is doing a major exhibition on trash. The following is their introductory text. The artists in TRASH, each with differing prerogatives and intentions, share the common desire to draw attention to an invisible issue that increasingly dominates our lives. Did you know that in the United States, annual production of waste has tripled since 1960? That the average American produces 4.5 pounds of trash every day? In this exhibition, our mission is to change how we see trash, and changing perspective starts by asking more questions. How do we decide what is trash? How does your trash impact the lives of others? How can we imagine new possibilities, and a new future for our trash? For nearly 100 years, artists have chosen to work with trash to create a tangible connection to everyday life and to reject the idea that making art requires precious or expensive materials. 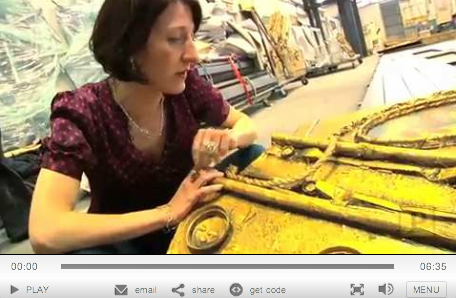 Today artists are also passionately interested in the environmental impact of their materials. Through their transformation of trash into art, our artists encourage you to envision trash as more than waste needing disposal. They want you to see possibilities where others see waste. The future starts here at NCM. We want to empower kids to act as the agents of change at home, and we look to kids to find the new approaches, new ideas, and new solutions that will change our future. TRASH is organized by The New Children’s Museum and is made possible by the generosity of Laurie Mitchell & Brent Woods, Farrell Family Foundation, SDG&E, Lynne & Glenn Carlson, Maryanne & Irwin Pfister and Fernanda & Ralph Whitworth. Support is also provided by The James Irvine Foundation, Nordstrom, the City of San Diego Commission for Arts and Culture, the County of San Diego’s Community Enhancement Program, and NCM members and Annual Fund donors. Creative industries can play a fundamental role in developing a sustainable future for the planet, both by addressing the direct impact on the environment from their own practice, and through the influential impact their work could have within society. But for many working in the arts, addressing these complex issues can be a daunting task. 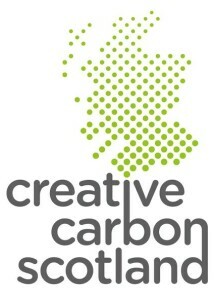 A new initiative based in Wales is encouraging creative practitioners to take direct action to develop a sustainable future for the planet, and by bringing together scientists and artists, the project is helping drive the issue of sustainable practice within the arts to the forefront of the political agenda within Wales. The project, entitled ‘Emergence’, began as a collaboration between Swansea based theatre company Volcano and Cynnal Cymru-Sustain Wales, supported by Arts Council Wales and The British Council. 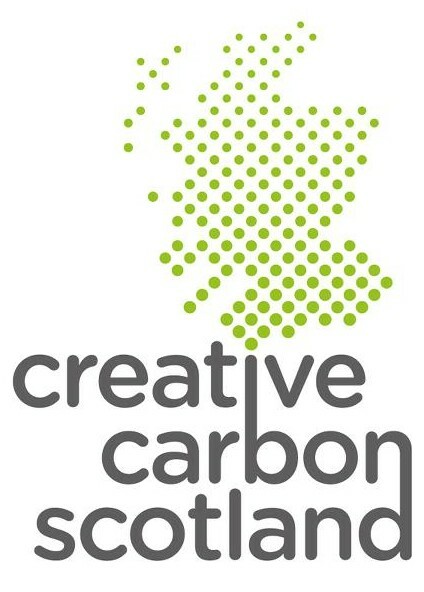 In 2010/11 The arts community in Wales attended three major events to raise issues, discuss alternatives, and suggest practical solutions for a more sustainable future. The series of conferences focused on creating an impetus for change within the arts, challenging practices and motivating artists and creative companies to discuss and develop practical solutions to reduce their environmental impact. In addition, the project encouraged artists to consider the role of the arts in influencing behaviour, and how they can begin to inspire change within society through their work. The project has recently published a conference report in an engaging and informative 30 page document. 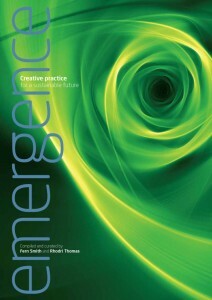 This ‘Emergence’ document is now openly available as a free download, both in English and Welsh, and provides an invaluable resource for all those working in the arts, and anyone interested in the development of sustainable practice within this field. 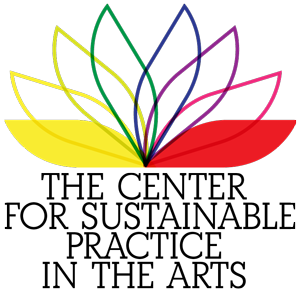 The Emergence document collates inspiring and educative transcripts from expert speakers on the subject of climate change, fair resource use, well being and the transition towards a more connected sustainable society. From scientist Jean Boulton to the artistic director of National Theatre Wales, John McGrath, the pioneering talks documented within ‘Emergence’ provide inspiration, information and practical ideas for artistic practitioners, venues and companies alike. The value of the project and the report has been widely applauded, Louise Wright from British Council Wales says ‘Emergence has worked from the ground up…it has been a creative catalyst’. The conferences have already kick started investigations into current practice – a study by Cardiff University measuring the environmental impact of ‘Night Out’, an Arts Council Touring Scheme, was initiated by Arts Council Wales following the conference. During the launch event major key players such as The Wales Millennium Centre and Welsh National Opera agreed on the creation of a focus group to look at sustainable practise within these flagship organisations, actively supported by the Theatres Trust and Julies Bicycle. In addition many individual delegates have changed behaviour and implemented new strategies to reduce their environmental impact, as the project continues to gather focus and momentum within Wales and beyond. Historically, the Prague Quadrennial has been an international exhibition of scenography (stage design), where countries come together to display the best of their theater work and the spirit of their design methodologies. It’s a mass of gatherings. It’s discussions and performances and lectures and guerilla moments in the streets (is that a performance or a conversation? Is she injured or just creating an interesting shape? Is that a flamboyant dress or a costume?). It’s also Scenofest, the educational arm of the Quadrennial, featuring a series of workshops and organized talks. At DAMU, the Czech Academy of Dramatic Arts, CSPA Executive Director Ian Garrett gathered with Nick Moran of the Central School of Speech & Drama and myself to discuss sustainability in design on a panel led by William Mackwood of York University (best known for hosting the Staging Sustainability conference earlier this year). While no one walked in with a paper dress or noisemaking speakers, some fascinating discourse ensued regarding the nature of performance. Ian Garrett started off with a powerpoint overview of green practices in the arts. He’s extensively acquainted with the overall carbon impact of the average theater production: length of run, power consumption, material. 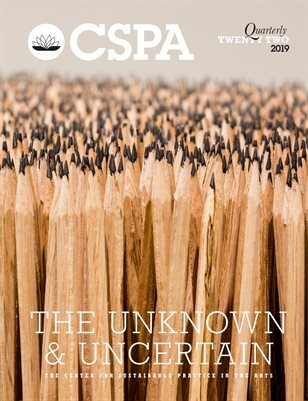 In the years that he’s been building the CSPA, he’s also been gathering a mass of information on the complexity of the arts’ environmental impact. Garrett brings into the discussion issue of audience transportation (a huge factor in carbon footprint) vs. the potential impact of audiences if they had just stayed at home that night. He also discussed the work of groups like Mo’olelo Performing Arts Company and the Broadway Green Alliance. Following him was Nick Moran, who focused on the resources on the site Julie’s Bicycle and the need within the green movement to make changes on a small (and totally unsexy) level, like type of toilet paper, while continuously pressing for systematic change in arts production culture. He discussed everything from tungsten lamps to fuel cells from the standpoint of a lighting designer who fiercely believes in sustainability. I stepped up and discussed my obsession of the past several years—ecologically restorative art, including works from Xavier Cortada and Mierle Ukeles, and some of my own work. In the roundtable following, balance was a key issue in discussion: between medium and message, between creative and financial needs, between work and decompression.“You’ve gotta make good work, otherwise there’s no point: worthy, dull, theatre does not change anyone’s mind,” said Moran. The audience was a point of debate. Are we trying to change their minds, or just give them more sustainable spectacle? Are we trying to address the needs of their transportation, or just present eco-theater? In a field of limited resources it’s all about priorities, and needs are complex. As performances exploded all over the streets of Prague, a very grounding discourse took place at DAMU. Like every conversation about sustainability, it leads to more questions, more conversations, and a grab-bag of actionable items. Regardless, it’s refreshing to be in a room with sharp minds that are focused on this issue, and there is potential for a wider impact at the next PQ. Designers, engineers, students and professors, architects, and social entrepreneurs from all over the globe are devising cost-effective ways to increase access to food and water, energy, education, healthcare, revenue-generating activities, and affordable transportation for those who most need them. And an increasing number of initiatives are providing solutions for underserved populations in developed countries such as the United States. This movement has its roots in the 1960s and 1970s, when economists and designers looked to find simple, low-cost solutions to combat poverty. More recently, designers are working directly with end users of their products, emphasizing co-creation to respond to their needs. Many of these projects employ market principles for income generation as a way out of poverty. Poor rural farmers become micro-entrepreneurs, while cottage industries emerge in more urban areas. Some designs are patented to control the quality of their important breakthroughs, while others are open source in nature to allow for easier dissemination and adaptation, locally and internationally. Encompassing a broad set of modern social and economic concerns, these design innovations often support responsible, sustainable economic policy. They help, rather than exploit, poorer economies; minimize environmental impact; increase social inclusion; improve healthcare at all levels; and advance the quality and accessibility of education. These designers’ voices are passionate, and their points of view range widely on how best to address these important issues. Each object on display tells a story, and provides a window through which we can observe this expanding field. 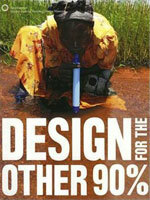 Design for the Other 90% demonstrates how design can be a dynamic force in saving and transforming lives, at home and around the world. Design for the Other 90%: Cooper Hewitt Exhibition |About. Green is the shade of the heroine’s skin in the massive Broadway hit “Wicked.” Green is also the color of the currency “Wicked” continues to haul in — some $1.3 million a week, more than six years after the show’s New York premiere. But green also has come to mean something more than cold cash to the people behind that showbiz phenom and other hot-ticket Broadway shows. And at least a bit of the credit can go to a San Diego theater whose $168,000 yearly budget doesn’t match what “Wicked” makes in a day. Mo’olelo Performing Arts Company puts on just two productions a year, each focusing on a specific social issue, from gun violence to racism to brain injury. Besides rolling out a wide array of educational efforts with every show, the community-minded company also has embraced the idea of reducing live theater’s environmental impact in general, devoting special attention to how sets are designed and discarded. 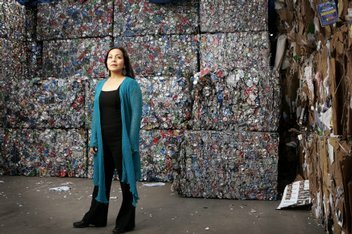 Read the full article here: Theater on the green: Staging eco-minded productions in SD – SignOnSanDiego.com. 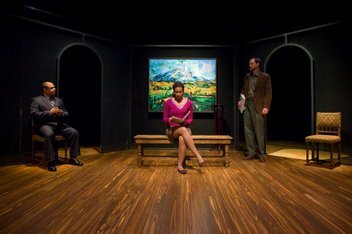 Seattle University’s greenSquat program in a new way of producing theater – two or more productions share a stage – the second production “squats” on the set and production design of the first, reducing materials used, and reducing the environmental impact of the shows, which can often be substantial. SU hopes that greenSquat will inspire other theater artists to reduce their environmental impact as well and has partnered with a number of local businesses to promote the idea and will offer raffles and green product giveaways at all shows. WRITER 1272 runs through March 13 at SU’s Lee Center for the Arts; tickets are available at the door or in advance through the box office which is open Wednesday through Saturday from 1:30 to 6:00 pm; call 206.296.2244 for ticket details. click hereto downloadIn Fall 2008, Mo`olelo received a MetLife/TCG A-ha! 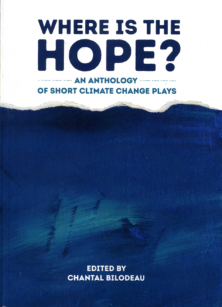 Think it , Do it grant to research and develop a tool to measure the environmental impact of theater and help the industry make choices that do not cause long-term damage to our communities. We partnered with Brown & Wilmanns Environmental Consulting and adopted their “Green Choices” methodology. 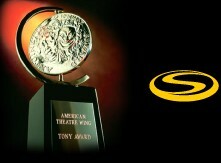 The Green Theater Choices Toolkit was finally completed on December 18, 2009. Click here to download the 24-page pdf.